RAZZLE DAZZLE 'EM with this trendy lampwork glass bumpy bead design! Bracelet features 7mm hand-crafted Lampwork glass bumpy beads snuggle up to Bali 5mm sterling silver seamless rounds & a rope-edge textured Bali bumpy spacer beads. 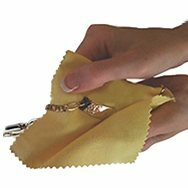 Number of beads will vary slightly due to your requested size. No further discounts on this laser engraved item. 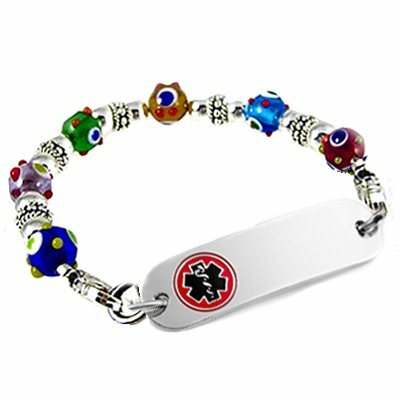 Price includes: One Petite stainless medical id tag with embossed, enamel filled emblem and dark laser engraving and interchangeable beaded strand.